EXPERIENCE ONE OF OUR ADVENTURE HIKES! Hikers carry their own backpacks with all food and utilities (e.g. tents, cookers, personal items). Include a 4WD transfer to the pickup and or drop off locations. Do not include any outside help or support during the hike. Just because these hikes aren't supported it doesn't mean they're difficult, but if you want something a bit more luxury click here! 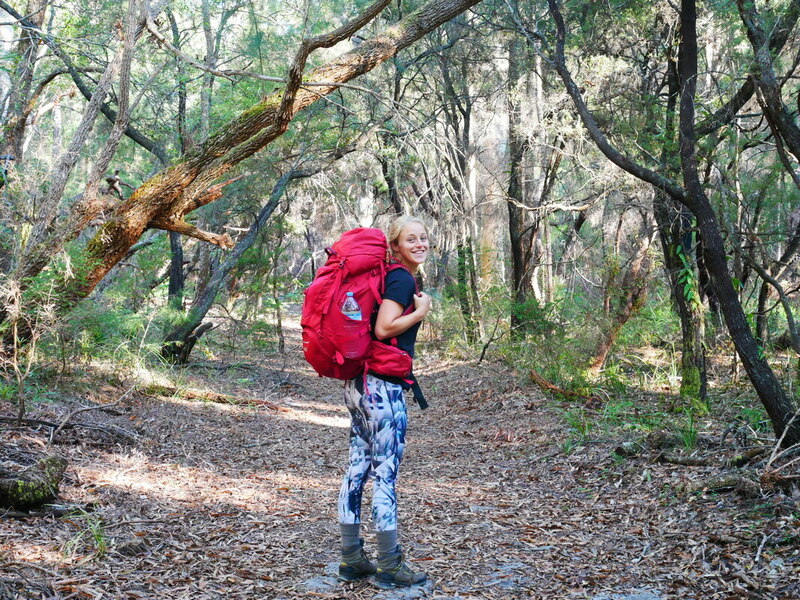 ​An adventure hike is a self-guided hiking experience for adventurers who want to carry their own backpacks! It's a great way to experience the true beauty of Fraser Island your way! Be the only people to stay at Lake McKenzie! Lake McKenzie, also known by it's indigenous name Lake Boorwangoora! Enjoy a great Eco Hiking Adventure on K’gari (Fraser Island) with a 4WD transfer that takes you to the central rainforest and ancient Wangoolba Creek. Get in touch with the real spirit of World Heritage K’gari as you walk along sand tracks under ancient rainforest trees. Concerned about preserving this unique environment? 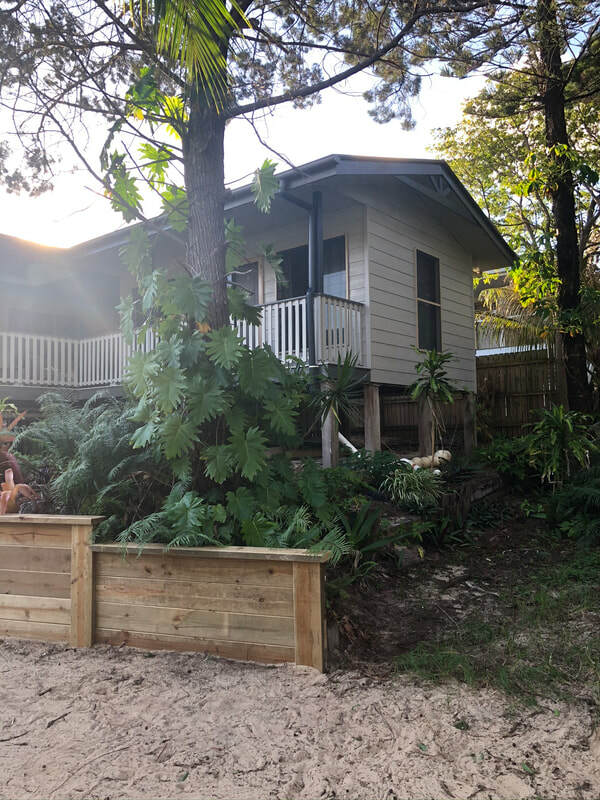 Be assured that by choosing our Eco Hike you’ve played your part in helping preserve World Heritage Fraser Island for future generations as we’ve off set your carbon footprint to make this a truly Eco experience! Experience Fraser Island a different way! You will take a 4WD adventure transfer from Hervey Bay via the barge to the Eastern Beach of Fraser Island. Your transfer will drop you to the entrance of Lake Wabby, where you can enjoy a lunch stop. Then in the afternoon your hiking adventure begins with a short hike in Lake Wabby, once you've arrived relax by the stunning Lake Wabby or go to the lookout and enjoy a scenic view of the vast Eastern Beach. Set up your camp and spend the first night camping under the stars! ​See the oldest & biggest trees on Fraser! Sites: Valley of the Giants, Lake Wabby, Lake McKenzie. You will take a 4WD adventure transfer from Hervey Bay via the barge to the Eastern Beach of Fraser Island. Your transfer will drop you to Poyungan Valley, where you can enjoy a lunch stop. From here enjoy a nice rainforest walk as you decent into the Valley of the Giants. Once you have arrived set up camp and lock your belongings away, before undertaking some of the side walks. Wake up nice and early and tranverse through the rainforest, as you walk towards Lake Wabby. Take a lunch stop at the Budjala Sandblow (additional 1.2km side walk return), where you can enjoy scenic views out onto the Eastern Beach. Keep walking as you hike through dense tropical forest before you arrive at the Lake Wabby lookout. Here you can set up camp and go for a nice swim at Lake Wabby! You deserve it after all the walking. Barge & 4WD transfer, hiker information ​& safety briefing, maps and itineraries, 2 person tent & sleeping mat, all hiking equipment needed (gas cooker, bowls, cups etc. ), hikers camp permits ($7 per person per night - included). Sense of adventure; as the hiking part of this trip is self-guided! Hike departs from our Fraser Dingo 4WD Adventures office in Urangan, Hervey Bay, at approx 8am (subject to change without warning). Pickups available if f you have pre-arranged - conditions apply, hotel/ hostel in Urangan only. 4WD transfer is with the tag-along tour (unless 5+ people, we will run a private vehicle). Note: At times there are NO toilet facilities and human waste must be buried at least 50cm deep. Fresh water is available at each camp but may have to be treated first. Full payment required to secure booking. Customer cancellations less than 7 days prior to the hike date are not refundable - cancellations more than 7 days will get a full refund (private transfers, for 5+ people, will incur a $50 cancellation admin fee.